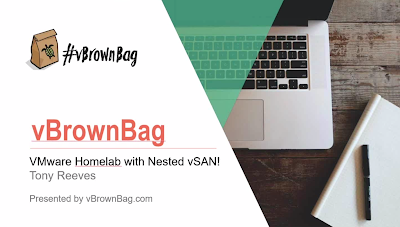 As I said in my vbrownbag, If there is one thing that is constant about a home lab it is change! I have had things break, deployments fail, plans for money to fund things fall through and so many of the other things that can change the best laid plans for upgrades and capabilities in the lab. I mentioned at the end of the last series we would talk about my first shared storage array. I decided to try out a free product called freenas and I had an old AMD Phenom II system laying around, so I set out to utilize that software using some drives I had. It was a humble setup with the triple core phenom processor and 8GB of RAM with smaller drives. 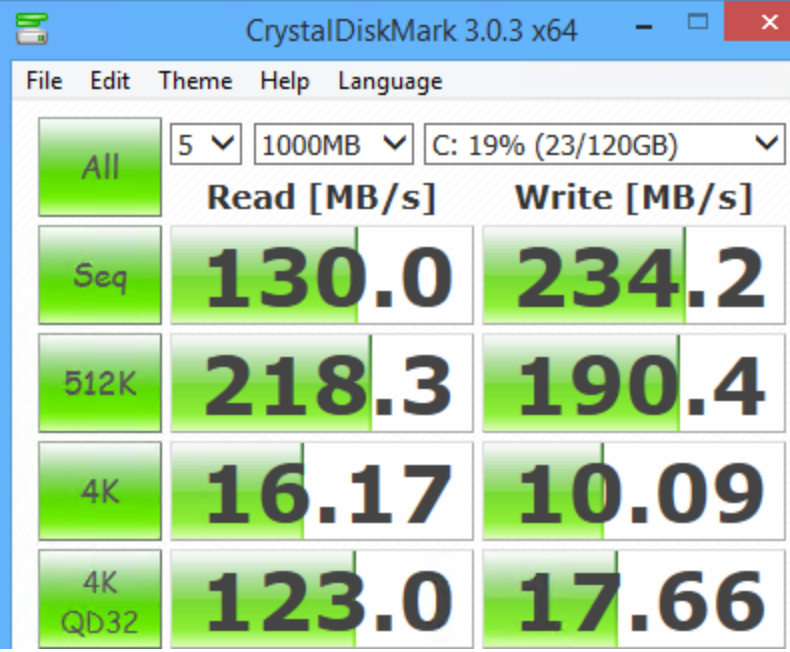 I also used the built in SATA on the motherboard and went with 7200RPM hard drives and used iSCSI over dual 1Gbe links. I tried setting up a LACP lag but at the time didn't have the ability license wise or cluster wise to build a required virtual distributed switch so I just used them in a failover mode. 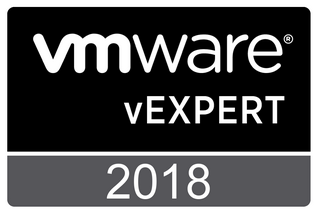 This worked well for quite a while until I wanted more space and performance to run things like Horizon View Linked Clones which were available at the time in Horizon 5. Since I had a spare gaming rig that wasn't getting much use for gaming any longer I decided to repurpose that system as the new freenas. It was a much newer system with a Core i7 3770K processor at 3.5Ghz and I had 32GB of RAM in that system. I also knew I needed more storage space to do all the things I wanted to do in the lab. In addition to VMware products, I had a file server VM with Plex movies on it that needed more space. 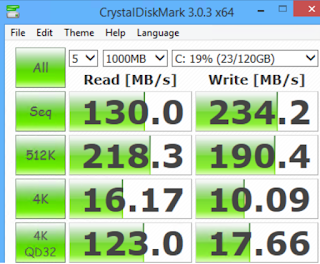 I ended up purchasing 7x 3TB HGST 7200RPM drives. I researched and planned upgrades for months that I knew would really make the system perform a lot better down the road when I could afford them. I knew I could get it to go faster if I eliminated the next bottleneck of the 1Gbe iSCSI storage links. I started doing lots of research on Fiber Channel and how it worked with freenas and what cards were compatible and recommended to use. Poking around the freenas forums I found a few articles suggested getting a QLogic QLE2462 as it would work and was dirt cheap. I ended up buying 2 cards for less than $40 and found a site to get cheap fiber cables and for less than $50 I had everything I needed. There were some walk-throughs on the freenas forums that I was able to use to get the tuneables scripts needed to initialize and setup the cards in the system. From a freenas perspective they were setup the same as iSCSI via the Target and Extent method once the tuneables were in place. It worked great. After that I was able to get the system to give me quite a bit more performance going from around 130MB/s read to 230. I had been reading about getting off of the motherboard SATA ports and getting a real HBA for the drives. All of my research led me to the LSI 9211-8i. I purchased it on ebay for under $100 and flashed it to IT passthrough mode so that freenas could manage the drives. This sped things up a bit more going from 230MB/s to 260. I also decided that I wanted to use the L2ARC caching freenas is capable of, for write caching to speed up the read/write time of the array. 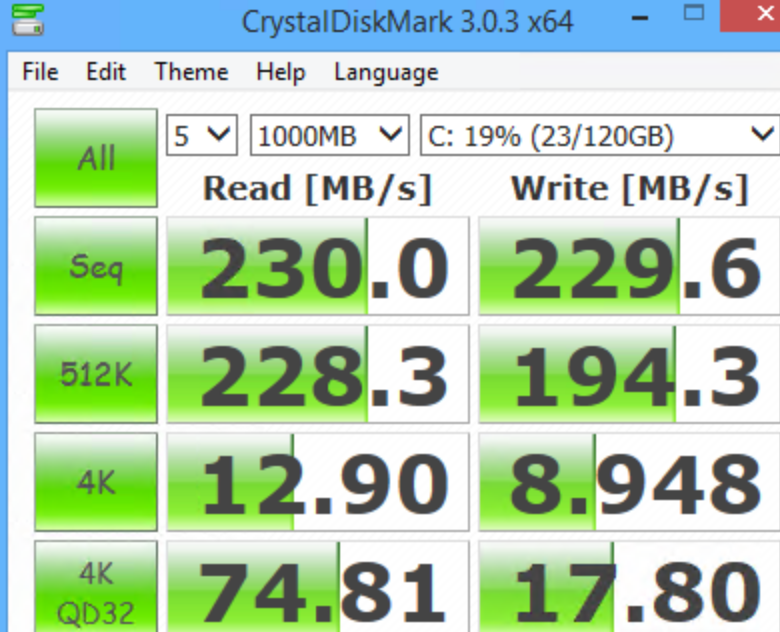 I was able to repurpose the Samsung 840 Pro SATA SSD that had been the OS drive in the gaming rig as the cache device. 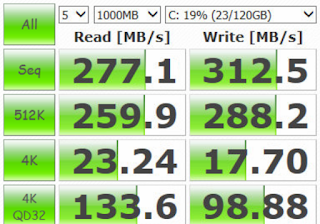 This sped things up a bit more going from 260 to 277 read, but what is really interesting here is seeing the benefit of the write caching with the L2ARC SSD device in place. You can see it went up from 292 to 312MB/s. As you can see overall these changes I made over the course of about a year to a year and a half were pretty small changes expense wise since I already had the computer. 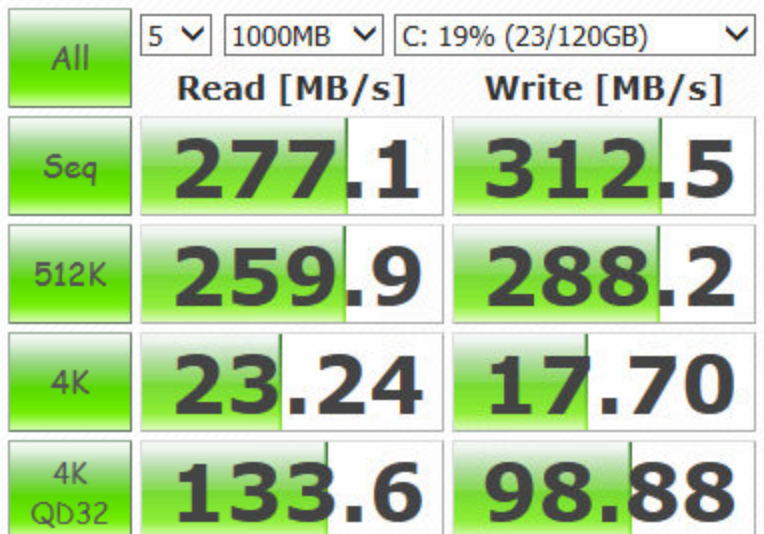 The largest expense was the hard drives themselves, but overall the other upgrades were pretty affordable and contributed quite a bit as a whole to the performance increase inside of a VM where these benchmarks were performed. I hope you enjoyed this post. In the next installment in the series we will look at Home Lab 2.0. Thanks for reading Cheers!